For anyone diagnosed with osteoporosis, there are two main concerns—increased risk of hip fractures and vertebral fractures. Vertebral compression fractures caused by the thin bone mass of osteoporosis have long been taught to cause hyperkyphosis, or the dowager’s hump that inflict many elderly. The seriously forward slumping posture of hyperkyphosis can undermine your well-being and even result in health issues and increased risk of fractures as you get older. It may even put people at higher risk for dying earlier than their peers. The hunched back of hyperkyphosis was long believed to be caused by osteoporotic compression fractures of the spine. But here is news: Recent research shows that indeed, that’s not always the case. Hyperkyphosis: Can You Prevent or Reverse it? Increasingly, research shows that not all elderly with hyperkyphosis have osteoporosis. Indeed, as much as six out of ten people with hyperkyphosis or dowager’s hump don’t have osteoporosis at all. 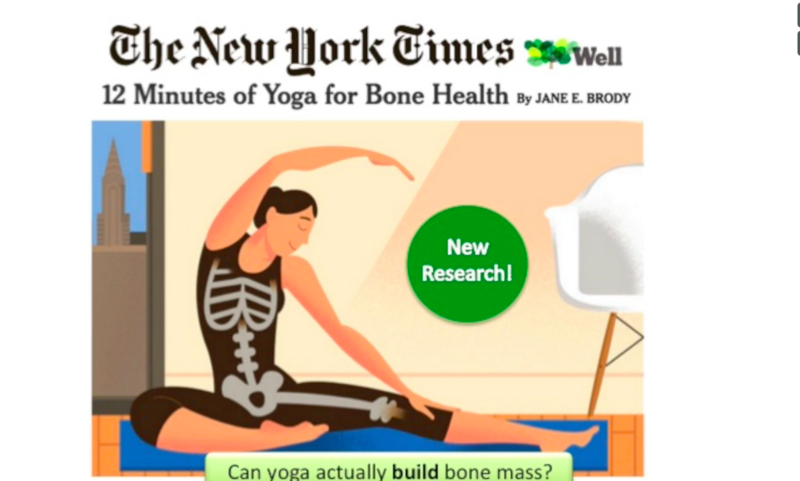 This is pretty important, because millions of women take osteoporosis drugs to prevent fractures without realizing that this may do nothing to counteract a slowly developing hyperkyphotic posture. Should you be concerned about hyperkyphosis? Indeed. Hyperkyphosis is an extremely common condition in the elderly, and many doctors ignore it, thinking that it is linked to osteoporosis. In fact, however, for many people, hyperkyphosis is caused by degenerative changes in the spine that can be counteracted, and the earlier you take steps to do so, the better. Hyperkyphosis is more common than most people realize, and it often goes unnoticed in its early stages. In its early stages, hyperkyphosis simply just looks like you have increasingly bad posture. One telltale early sign of hyperkyphosis is forward head posture, in which the position of the head moves forward of the body’s gravitational center line. The shoulders will also typically become more rounded as the head continues to move forward. 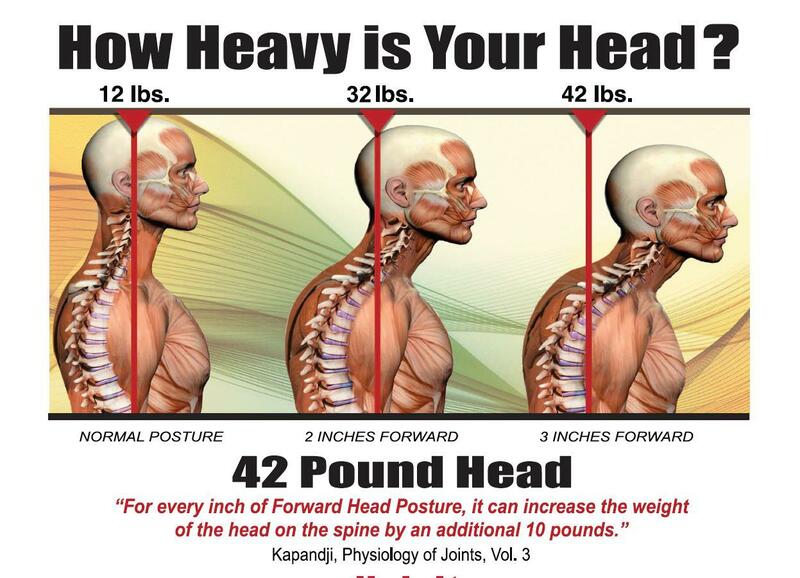 If you don’t take steps to reverse it, the rounded shoulders of forward head posture over time may progress into hyperkyphosis or a full-fledged dowager’s hump. People suffering from hyperkyphosis, particularly the elderly, are at higher risk of fractures in the shoulder, arm, wrist, hip and leg; the more rounded or pronounced the hump, the greater the risk. In addition, hyperkyphosis undermines your long-term well-being. The stooped forward posture puts undue pressure on the chest and lung cavity. This results in shortness of breath, which in the elderly is related to a myriad of other health issues; increasing the risk for cardiovascular or lung disease, Type 2 diabetes and even depression and anxiety. Concerned about Osteoporosis and Vertebral Fractures? Learn How Yoga Can Help in Our Free 3-Part Webinar Series with Dr. Loren Fishman and Ellen Saltonstall! At present there are very few known medical treatments available for hyperkyphosis, and they all carry risks. According to several studies, however, exercise may be one of the simplest ways to prevent or even reverse hyperkyphosis. One study, for example, found that yoga shows promise as therapy for reversing hyperkyphosis. Led by Dr. Gail Greendale, the study showed that attending weekly yoga classes over a 12 weeks period was sufficient to create significant improvements in the hyperkyphotic curve of the spine. Want to learn more about How Yoga Can Help Reverse Hyperkyphosis? You may be interested in this YogaUOnline Course: Yoga for Core Strength and Posture Improvement.